You may know Joanne Chang for her incredible sticky buns or her delicious, peanutty dan dan noodles, but the star chef's path to success in the restaurant industry was roundabout: Chang, who studied math and economics as an undergrad at Harvard, started out in finance. You may know Joanne Chang for her incredible sticky buns or her delicious, peanutty dan dan noodles, but the star chef's path to success in the restaurant industry was roundabout: Chang, who studied math and economics as an undergrad at Harvard, started out in finance. At 24, she was working as a management consultant at The Monitor Group in Cambridge when she was tasked with interviewing prospective hires. One of her questions to them—"If you won the lottery today, what would you do? Where would you go?”—inspired self-reflection on her own part; while listening to people’s answers, it dawned on Chang that her own dream job wasn’t the one she was doing. Instead, she realized, she wanted to pursue her lifelong love of baking in a professional setting. (As a college student, she had often sold chocolate chip cookies to her fellow classmates to earn extra cash.) Without any formal training, Chang decided to set off on a career in food and took a job as a garde-manger position at Biba in Boston. After working as the pastry chef at Rialto and in the cake department of New York's Payard Patisserie, Chang opened Flour Bakery + Café in Boston. While expanding Flour (there are now four outposts) she also collaborated with her husband on their eponymous restaurant, Myers + Chang, which serves Asian dishes inspired by the classic Chinese and Taiwanese food Chang ate during childhood. Chang is definitely not one to back down from a challenge. 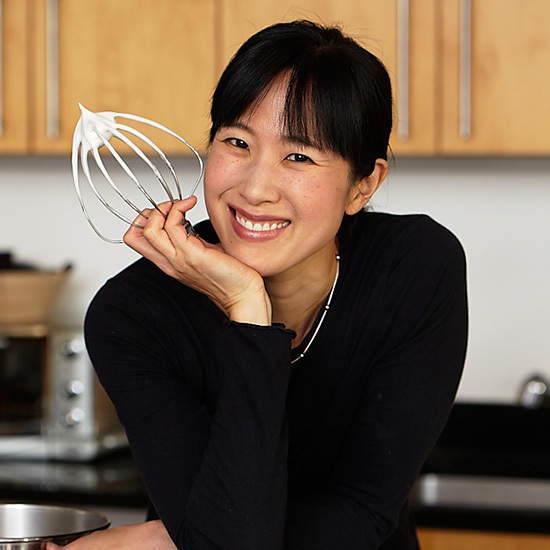 For her latest cookbook, Baking with Less Sugar, Chang created amazing confections that either use reduced amounts of granulated sugar or replace it entirely with other sweeteners such as maple syrup, honey and fruit. So what's the secret to being a successful restaurateur? Here, Chang shares five tips for being a good boss.